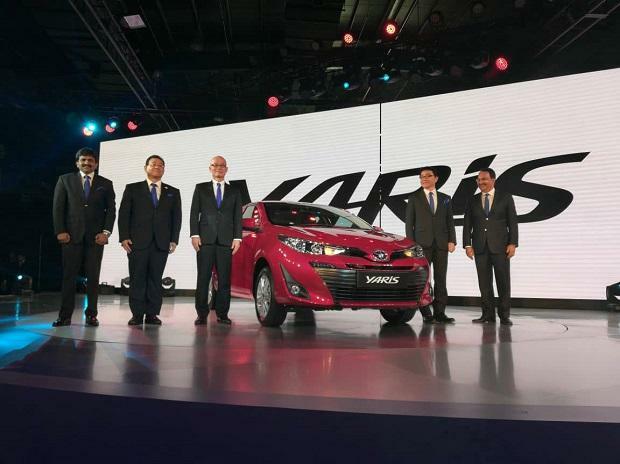 After unveiling it at the Auto Expo 2018, Toyota Kirloskar Motor has finally announced some of the details of the much-anticipated Yaris sedan in India. These include the price range, variants and pre-launch bookings. The new Toyota sedan will be launched at an introductory price of Rs 875,000 (ex-showroom, pan India). Yaris sedan will mark Toyota’s entry into in the mid-sized premium car segment in the Indian automobile market and will also offer some first-in-segment features. Toyota Yaris will be made available in four different variants - J, G, V and VX. The top-end version is being priced at Rs 14,07,000. These introductory prices have been kept uniform across the country. As the pre-launch bookings have already begun, the customers can book the new Yaris sedan at any Toyota dealerships across the country but the deliveries of the Toyota Yaris will begin from May 2018 onwards. 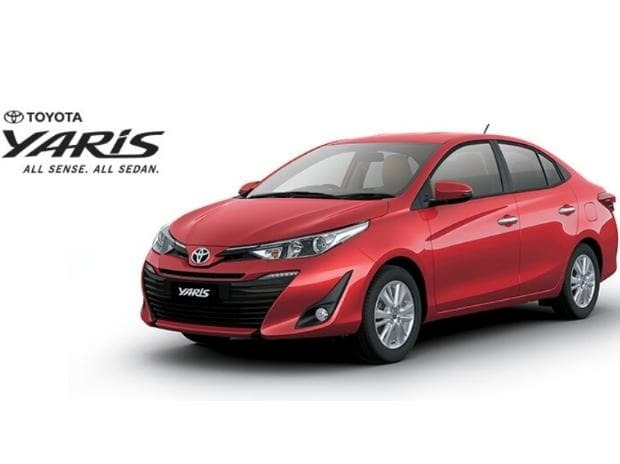 While the price value is competitive, the Yaris competes with the likes of the Maruti Suzuki Ciaz, Honda City, and Hyundai Verna in the auto market. The customers can also book the Toyota Yaris for the test drive, said N Raja, Deputy Managing Director, Toyota Kirloskar Motor. Toyota Yaris will be the fourth sedan in India after Camry, Corolla and Etios. Equipped with technology features like roof-mounted air vents with ambient illumination, fuel saving calculator, all-wheel disc brakes and power driver seat, the compact Yaris sedan also boats of safety features like seven airbags, Vehicle Stability Control (VSC), Vibration Control Glass for windshield, 60:40 split rear seats, smart entry with push start and Anti-lock Braking System (ABS) with Electronic Brake Distribution (EBD), said an IANS report. The Toyota Motor said the soon-to-be-launched B-segment sedan would come with 1.5 L Dual VVT-i gasoline engine and 7-speed Continuously Variable Transmission (CVT) or 6-speed manual transmission. According to the Toyota's website, the Yaris’ smart keyless entry system detects the proximity of the car key in its immediate vicinity and lets you enter it in style and without effort. Also, the Yaris comes packed with rain sensing wipers, an intuitive addition that senses those first few drops of rain and automatically controls the wipers. To give vehicle stats and alerts effectively, the Yaris features a 4.2 coloured TFT MID. "We see high market potential with growing population of Indian middle-class families aspiring for more advanced features safety space luxury and comfort," said Toyota Kirloskar Motor MD Akito Tachibana during the Auto Expo ceremony held earlier this year. Toyota Yaris is one of the best-selling cars of Toyota and is being sold in 120 countries. Toyota’s MD Tachibana who was emphasizing on the unique features of Yaris sedan customised for the Indian market, he further added, "we hope the vehicle will strongly appeal to Indian families especially the women drivers in India," Tachibana added. The mid-size sedan segment, in which Toyota Yaris has been launched, witnesses an average monthly volume of 15,000-18,000 units or 200,000 units annually and is a crucial market for premium players.